Q. It recently came to my attention that there is a ghost in "Three Men and a Baby." 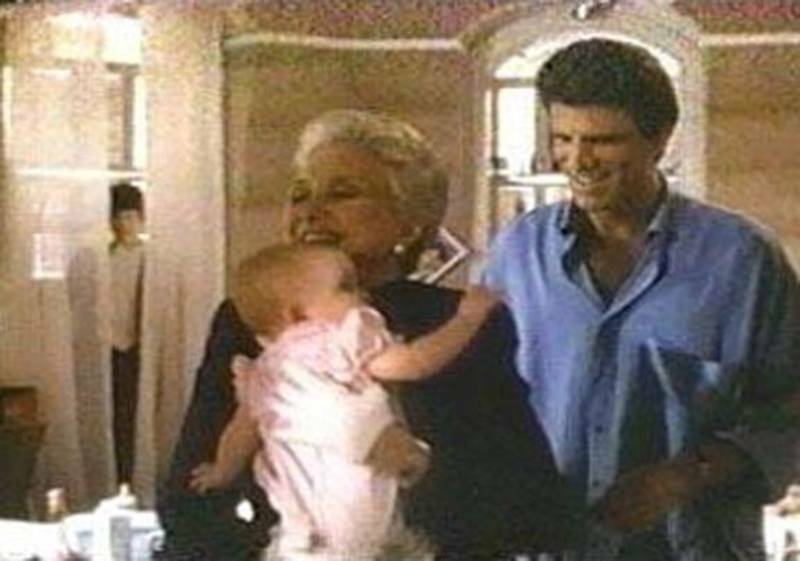 If you start the tape at 1:01:13, the camera pans across a window behind Ted Danson and Celeste Holm, who are walking into a room, and at a spot by the window curtains, the rifle that was presumably used in the killing of a young boy may be clearly seen, with the barrel pointing down.